While GBP is being supported by Industrial and Manufacturing Production, it is losing power due to some other economic reports such as Trade Balance and Goods Trade Balance. 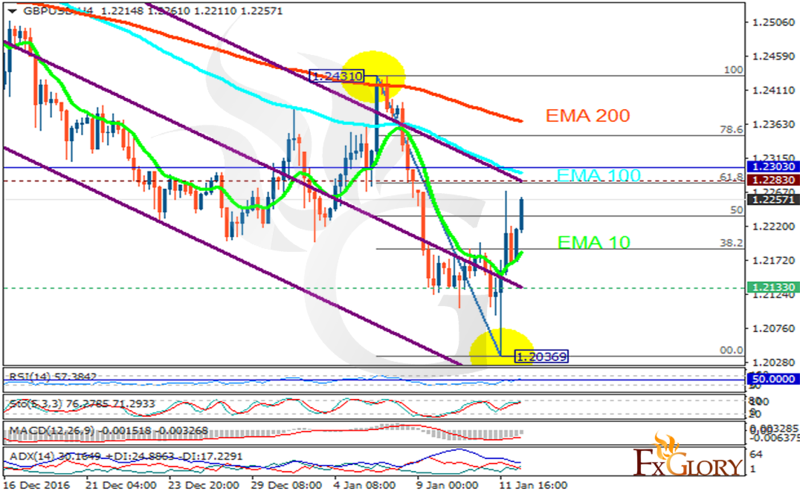 The support rests at 1.21330 with resistance at 1.22830 which both lines are below the weekly pivot point at 1.23030. The EMA of 10 is moving with bullish bias but it is below the EMA of 100 and the EMA of 200. The RSI is moving on the 50 level, the Stochastic is moving in high ranges, showing downward momentum and the MACD indicator is in negative territory. The ADX is showing a weak buy signal. The price has reached the 61.8 level of Fibonacci retracement therefore pullbacks are happening soon. Sellers can target 1.2100 for the first pullback.